11:45am: Arrive early + meet friends! 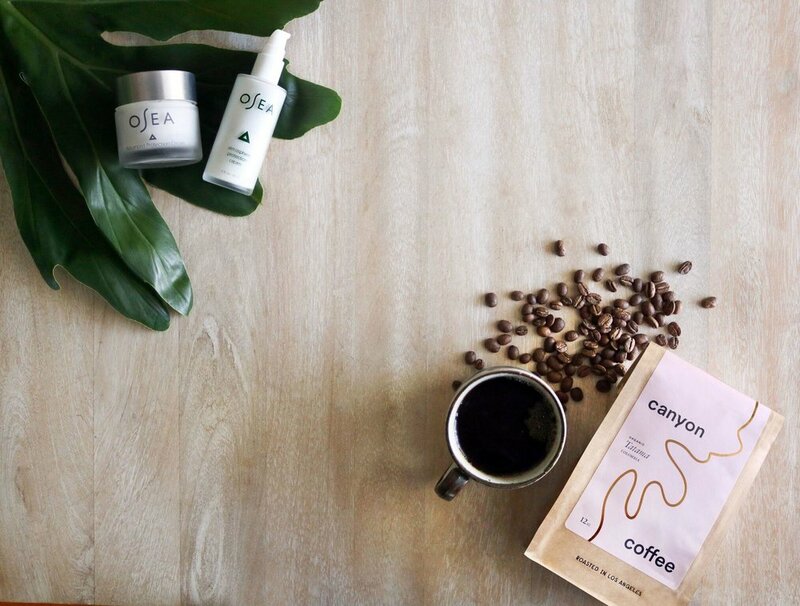 OSEA is non-toxic, cruelty-free skincare made from seaweed and active botanicals. They believe that skincare formulations made with natural, bioavailable ingredients are more effective than products made with harsh, synthetic chemicals. Canyon Coffee only sources certified organic coffee beans and roasts in Los Angeles. They believe in the ritual of coffee to bring us together, adding beauty and warmth to daily life. Amanda Gilbert is a teacher, guide, and facilitator in meditation and mindfulness. Her passion for sharing meditation comes from her own life experience where meditation not only helped her heal, but catapulted her into living a life filled with meaning, purpose, optimal health, joy, and awakening.